Stephen King takes a step back from horror to write a story about Bill Hodges, a retired detective who is haunted by his unsolved cases and believes he has nothing to live for now that he’s off the force. Hodges finds a new sense of purpose after being contacted and taunted by the most notorious killer he failed to catch, Mr. Mercedes. Hodges takes it upon himself to end his retirement and make it his sole priority to bring the killer he failed to catch to justice. The novel bounces between the perspectives of Bill Hodges and the killer himself during their dangerous game of cat and mouse. 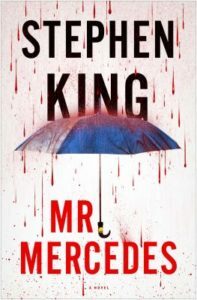 This makes the story even more interesting, as getting to understand the mind of Mr. Mercedes and see the world from his point-of-view gives the book a depth that wouldn’t exist if it solely followed Bill Hodges. The characters in this story are vibrant and full of life, which makes it all the more worrisome as their lives are approached by the ever-looming danger of the Mr. Mercedes killer. The first novel in the Bill Hodges trilogy, Mr. Mercedes is followed by Finders Keepers and End of Watch. 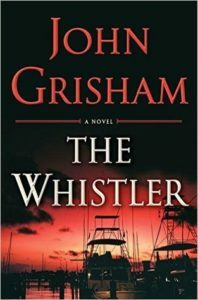 In The Whistler (that is whistleblower), John Grisham introduces us to the Florida Board of Judicial Conduct’s investigation of the most corrupt judge in Florida’s history. An elusive character named Mix or Myers or maybe something else lodges a complaint with the board in hopes of an award for himself and his undisclosed client. Thus Lacy Stoltz and her colleague Hugo become involved in the most dangerous and compelling investigation of their board career. Their adventures cross paths with the coastal mafia and corruption at the casino run by the Tappacola Native American tribe. Lacy persists with the investigation even after Hugo is killed and she is terribly injured in an unlikely accident that suggests murder. With the FBI’s help, Lacy unravels this corrupt maze of hidden wealth, obscure identities and a convict on death row who should not be there. What could have led Rachel, a journalist, to shoot her husband? In Since We Fell, the reader learns that Rachel has major trust issues after her mother passed away without revealing who Rachel’s father is. Rachel also suffers from post-traumatic stress after witnessing horrible events while reporting in Haiti. 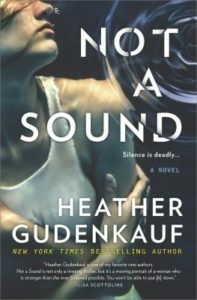 When Rachel begins to suspect that her husband has not been entirely truthful to her, her investigative instincts go into overdrive and lead her down a path she couldn’t possibly have imagined. 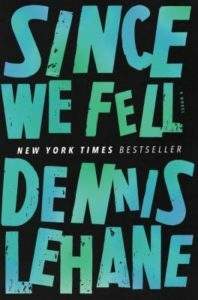 While the Dennis Lehane book begins slowly and is leisurely-paced for at least the first third, soon you are engrossed in Rachel’s story and can’t put it down. The relationship between Rachel and her husband is very reminiscent of the marriage in Gone Girl and readers of the novels of Peter Swanson will find much to love here. After surviving 472 days kidnapped by a sexual predator, kept in a coffin-sized box and slowly starved, Flora Dane is rescued. She tells her story only once, to FBI victim advocate Samuel Keynes. When D. D. Warren, a Boston detective, is called to the scene of a brutal murder committed by Flora, she learns that Flora has been involved in three other incidents since her return to society. D. D. Warren wonders if Flora is a victim or a vigilante and whether she can assist in the Stacey Summers case, a college student who has been missing for three months. 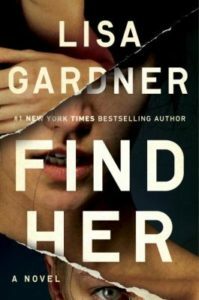 Lisa Gardner’s Find Her will give you an awareness of trauma bonding, the effects violent crimes have on the victim and their families, and the psychology of sadistic sexual predators. Discover other titles featuring D. D. Warren. 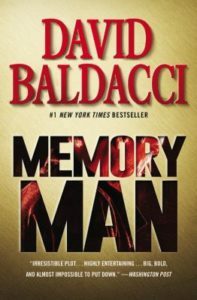 David Baldacci’s latest hero is quirky and troubled Amos Decker: he can’t forget anything thanks to a head injury in his first (and last) NFL game, and he abandons his career as a police detective following the murder of his wife and daughter. Sixteen months after the tragedy, a man unexpectedly confesses to that crime—but is he guilty? In Memory Man, an introspective antihero is drawn back into police work by a school shooting. Is it somehow connected to his family’s murder? A gripping story and a memorable character. Intrigued? Check out The Last Mile and The Fix (just released last month) for more Amos Decker action. A new author for fans of high-octane thrillers. Don’t be intimated by the size of this book (over 600 pages). I normally avoid books this size, but the description intrigued me enough to try it, and I’m really glad I did! 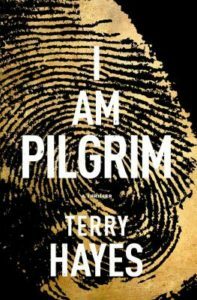 I am Pilgrim is roller coaster ride of constant action; worldwide settings; a variety of complex, flawed, captivating characters; and many unpredictable twists and turns. 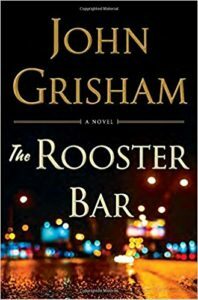 The main character, code named “Pilgrim,” a former member of a covert US agency that dealt with terrorism, is pulled into a murder investigation by a friend who’s a top New York City police detective. This, in turn, leads him (and us, the readers) to many places around the globe – Saudi Arabia, Afghanistan, Lebanon, the Gaza Strip, and Turkey as he attempts to take down a terrorist group planning a potentially catastrophic attack on the US. Terry Hayes’ novel is a fun, high-adrenaline, and strangely addictive read. 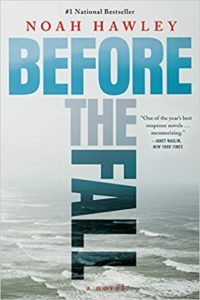 When a small charter plane with 11 passengers on board crashes mysteriously shortly after takeoff from Martha’s Vineyard, only two individuals survive: Scott Burroughs, a painter, and JJ, the 4-year-old son of a multimillionaire founder of a network. After the crash, Scott hears JJ’s cries, finds him in the dark night, and manages to get back to land with JJ on his back. Throughout the novel, author Noah Hawley takes you backward and forward in time to learn about each of the 11 passengers and what brought them together on the doomed plane. The investigation into the crash and commentaries by the network headliner Bill Cunningham, who goes to illegal ends for information, keeps you hooked throughout Before the Fall.